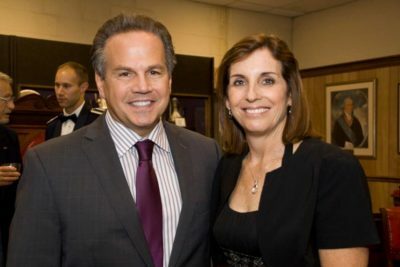 Martha McSally with Congressman David Cicilline (D-RI) at the 2015 RIAHOF Induction Dinner. After a narrowly losing a tight US Senate race in Arizona to Kyrsten Sinema (D), Rhode Island native Martha McSally has been appointed by AZ Governor Doug Ducey to fill the seat vacated by Sen. John McCain’s death in a surprising twist. Retired Air Force Colonel Martha McSally hails from Warwick, and a Distinguished Graduate of the US Air Force Academy who became the first US female fighter pilot to fly combat missions, and the first woman to command an American fighter squadron. In 2001-2002, McSally earned national recognition for filing a lawsuit and successfully overturning a military policy requiring all U.S. servicewomen to wear a Muslim abaya (a long cloak-like garment) and headscarf when off base in Saudi Arabia. Read more about Sen. McSally here. Congratulations, and we are even prouder than before to have her in our Hall of Fame!